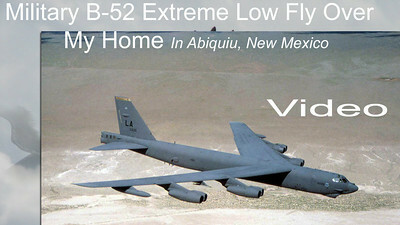 Rare video of military jet B-52 flying extremely low over home in Abiquiu New Mexico from Cannon Air Force Base filmed in this tape. Decibel level estimated to be over 100 db as B-52 flies nearly directly over my home while heading due west. Do Not Copy. Do not repost.